TASK AT HAND: Today is a very special Thanksgiving edition of the Sunday Surgical Scrub! First and foremost, I want to wish you a Happy Thanksgiving here from Charlotte, North Carolina! I hope you have a wonderful and safe holiday with your loved ones wherever you are. Let me ask you, what’s the first thing a patient does when they are seeking a new physician? Do they look them up in a phone book? I’m not sure these exist anymore. Ask a trusted friend? Perhaps. Look them up online? Definitely! The growth of online physician reviews and social media now provides patients and colleagues a wealth of information not previously available. Consequently, it is more important than ever for physicians to have a professional online and social media presence. In fact, a sound online strategy should be the driving force behind all online physician interactions. In response to this interest and growing demand, my colleague and friend Dr Jay Sridhar, host of the retina podcast Straight From The Cutter’s Mouth and Assistant Professor of Clinical Ophthalmology at the Bascom Palmer Eye Institute in Miami, Florida, have been hard at work creating a course on online strategy for physicians. Who is this course best suited for? 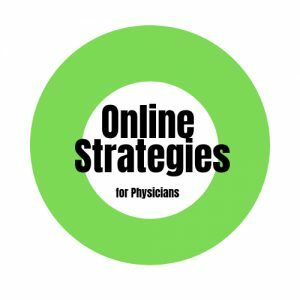 This course is primarily curated for physicians who are looking to develop their online presence and provides fundamental strategies for utilizing online and social media for communication and practice building. Ideally suited for both new physicians or those who have been practicing for years but are now beginning to craft their online media presence. In the modern digital world, physicians – whether they be ophthalmologists, interns or primary care doctors – need to understand the importance of personal branding and social media. The course is a series of lectures that we’ve presented in multiple continents and you can now take part in this digital content anytime from the ease of your home or office. You can find the course here. Enjoy! GRATIS: We are launching the course officially tomorrow on Black Friday, but I’m making it available to subscribers of the Sunday Surgical Scrub right now. You can get 50% off by using the promo code LAUNCH.